One of the most popular operas of all time returns in a passion-filled production featuring Stefano Secco and Patricia Racette. 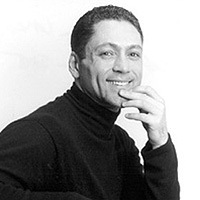 Jose Maria Condemi directs. 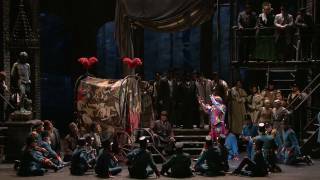 See highlights from Verdi's hot-blooded melodrama Il Trovatore, including the famous "Anvil Chorus" and Antonello Palombi singing "Di quella pira." The video preview also features Lisa Daltirus, Gordon Hawkins, and Malgorzata Walewska. 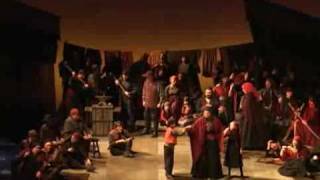 A short clip of Jose discussing the upcoming production of Il Trovatore for Seattle Opera. 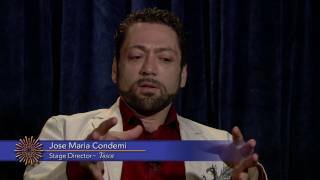 Jose Maria Condemi, the stage director of Tosca, gives us an inside look. SF Opera's preview of the Jose Condemi directed production of Puccini's Tosca. See the Orpheus drama unfold in rehearsal. 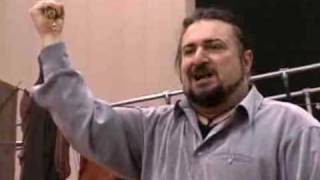 Stage Director Jose Maria Condemi shows the singers at work, explains the storyline, and gives us a peek at the dancer choreography.